West River Water Festival -- July 8th! 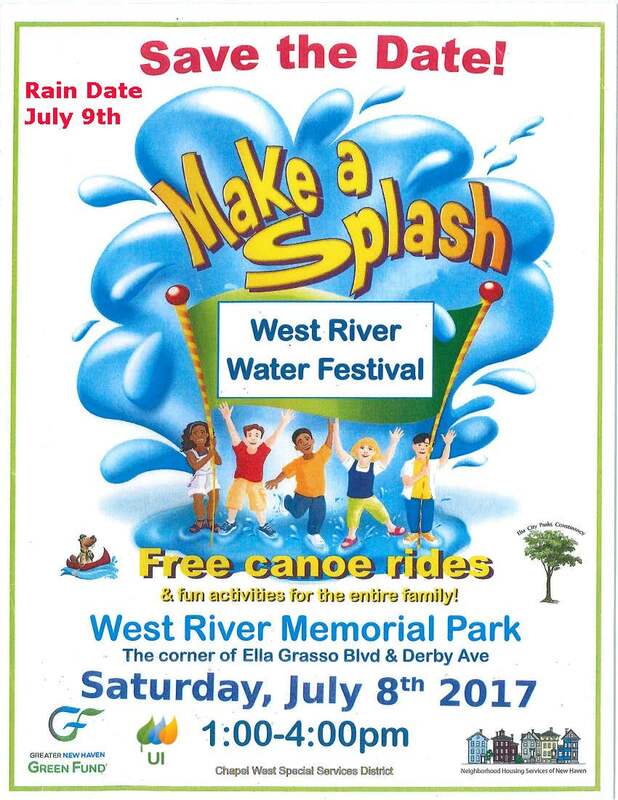 The 7th Annual West River Water Fest will splash down at West River Memorial Park next Saturday, July 8th, taking place from 1 to 4 p.m. at West River Memorial Park at the corner of Ella T. Grasso Boulevard and Rt. 34. Residents in communities surrounding the West River: The Hill, West River, Westville, Edgewood and across the city and beyond are invited to attend! This year’s activities will focus on teaching about the nature around the watershed and the things they can do to help care for it. Free canoe and kayak rides, coloring page activities, bird watching, fishing activities, and more! Free hot dogs and packaged snacks will be served throughout the event. Two Volunteer Events - One Incredible Day! On Wednesday, June 21, NHS' Community Building & Organizing Department hosted two volunteer events at our Sherman Forest site along Sherman Parkway in New Haven. This site is one that has been weeded, mowed, cared for, and tended to by multiple New Haven volunteer groups. It is a site that NHS is proud to continue to work on each and every day. If you're ever interested in learning more about work at Sherman Forest, be sure to contact Stephen Cremin-Endes at NHS. The day began at 9AM with volunteers from Bike & Build. Founded in 2002, Bike & Build is an organization that benefits affordable housing and empowers young adults for a lifetime of service and civic engagement. During their first 13 years, Bike & Build's eight cross-country trips have engaged 3,000 young adults in service. The volunteers helped to clear out a large section of Sherman Forest that has been taken over by invasive plant species and weeds. Clearing out the plants allows for a clear trail to become visible while also helping to make the park easy to maintain. Around 1PM, Sherman Forest was filled with another group of volunteers -- this time from Hamden's Burt Processing. Burt Processing is a worldwide leader in the design, manufacturing, and distribution of high purity and corrosion equipment, systems, and services. The employees of Burt Processing, who came to volunteer to us through the United Way of Greater New Haven, were an immense help in clearing out large tree branches, leaves, and debris that covered a large portion of the site (closer to West Division Street). NHS staff were shocked at the speed in which these amazing volunteers cleared out the site and we are grateful for their service and hard work! To view more pictures of this great day, visit our facebook page. If you or your group/organization are interested in volunteering with NHS of New Haven, please contact Adam Rawlings at NHS of New Haven. Serve with NHS! 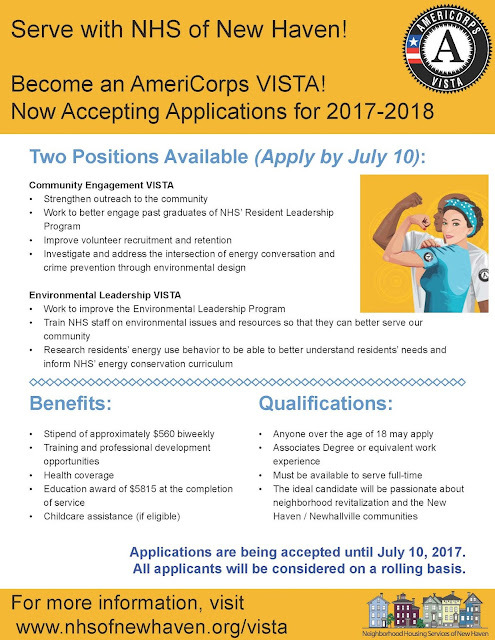 Become an AmeriCorps VISTA Member! 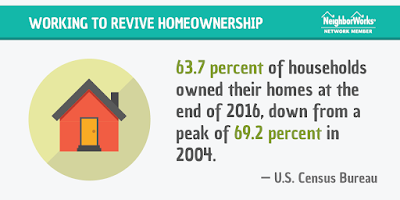 It’s not looking good for homeownership these days. 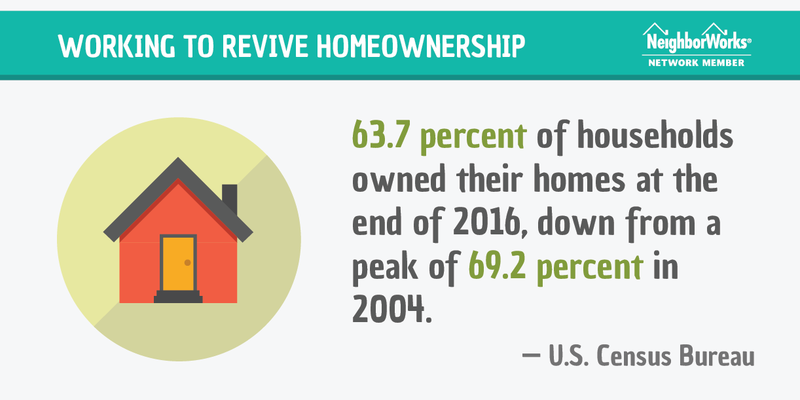 According to the U.S. Census Bureau, 63.7% of households owned their homes at the end of 2016, down from a peak of 69.2% in 2004. While there have been small increases in recent quarters, the homeownership trend since the financial crisis continues to veer downward. We need to reverse this pattern, and these four strategies will help. First, we have to demystify the process. Increasing the homeownership rate in New Haven, CT will energize the local economy and create jobs from construction to retail. 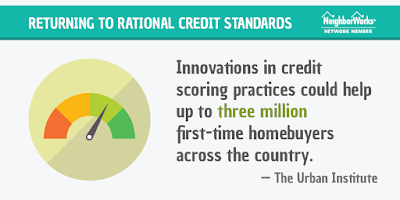 Second, we have to return to rational credit standards. We return to the loose underwriting of the early 2000s. However, right now, credit standards are too tight and thus reduce the prospects for homeownership for many. 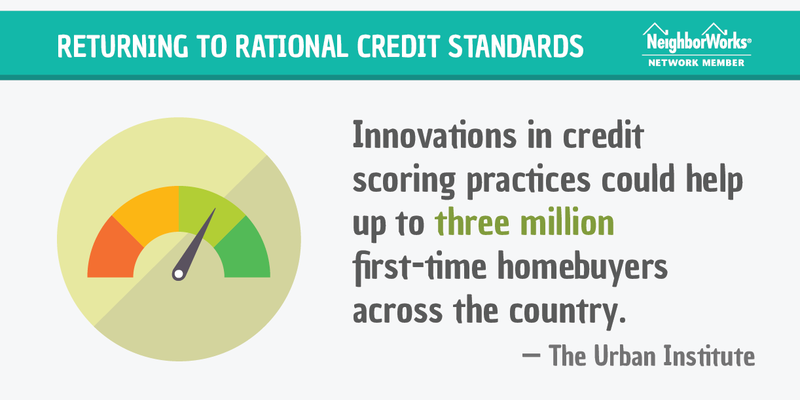 A recent article by the Urban Institute noted that innovations in credit scoring practices could help up to 3 million first-time homebuyers across the country. The lending industry must seriously pursue such modifications. Third, we need to do a better job in reaching out to low- and moderate-income consumers. These are the first-time buyers of the future and they are unsure about the path to homeownership. Nonprofits housing organizations have had a “field of dreams” mindset: if we’re here, homebuyers will find us. That’s not working. The NeighborWorks survey mentioned above also found that fewer than 10% of consumers think of nonprofit’s like Neighborhood Housing Services of New Haven first when considering how to achieve homeownership. 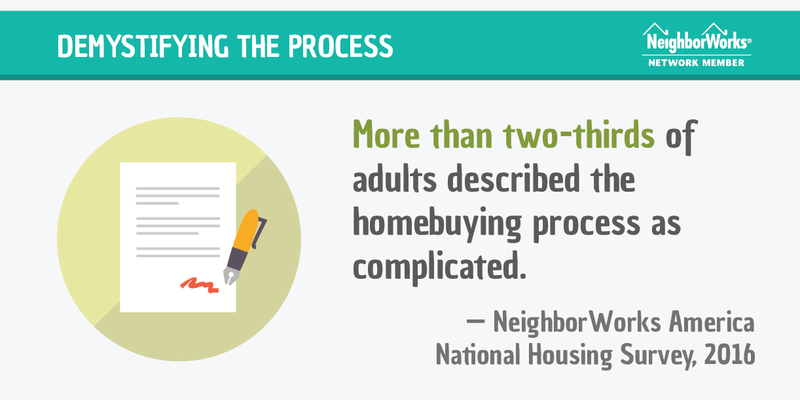 Our organization and others working to increase homeownership, especially among first-time buyers, need to behave more like businesses and seek out these types of customers. Word of mouth isn’t enough. Fourth, we must overcome financial obstacles. Home prices are increasing in nearly all markets. Here in New Haven, the median price is approximately $160,800, and the stereotypical 20% down payment is out of reach for most first-time buyers. 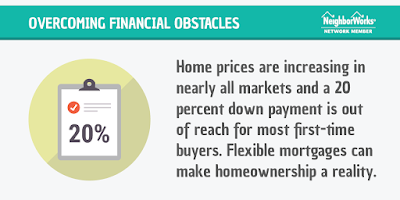 However, the truth is, consumers don’t need a 20% down payment to purchase a home these days. 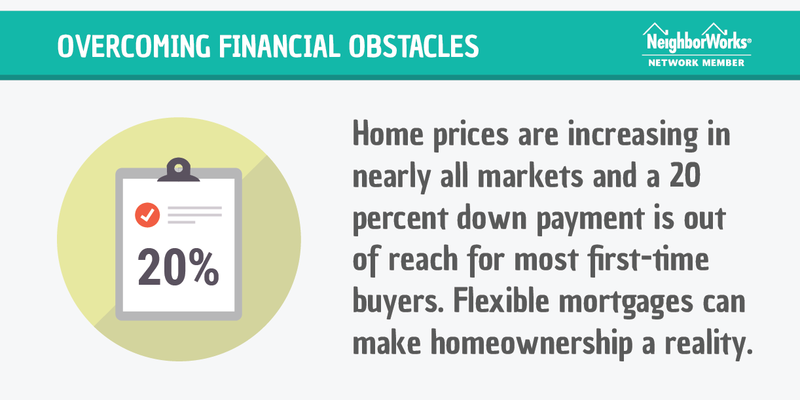 In some cases, just a 3% down payment is required. 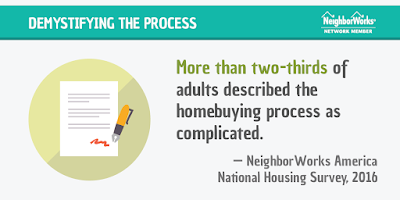 However, not every lender offers flexible mortgages. 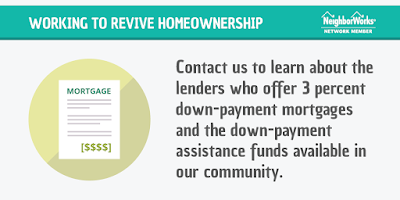 By working with Neighborhood Housing Services of New Haven and other housing nonprofits, consumers will learn about the lenders who offer 3% down-payment mortgages. In addition, they also will be made aware of the potentially millions of dollars in down-payment assistance funds available in this community and others. 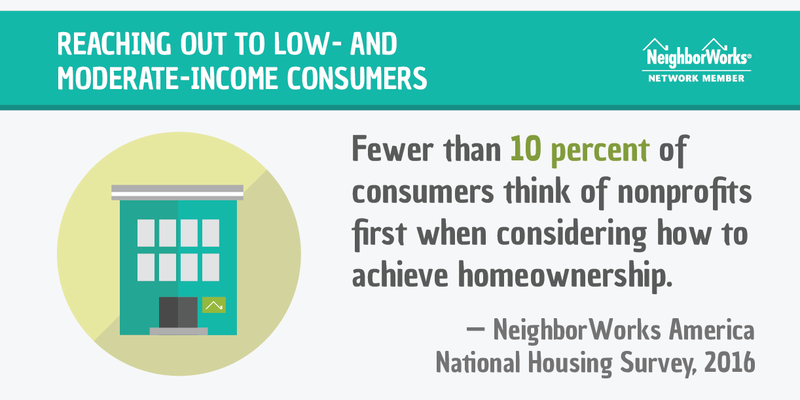 The NeighborWorks survey showed that only one-third of consumers are aware of down- payment programs for middle-income buyers. 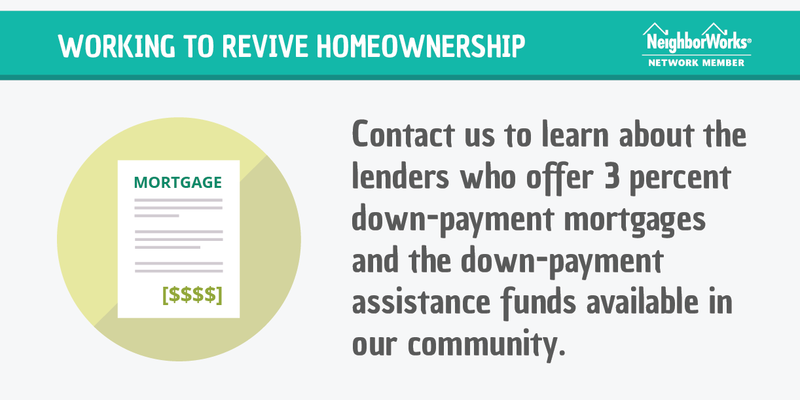 While there isn’t an unlimited supply of down-payment assistance, if more consumers knew to seek it and sought information from nonprofit organizations, the homeownership rate would increase. That’s good for individuals, families and Greater New Haven. 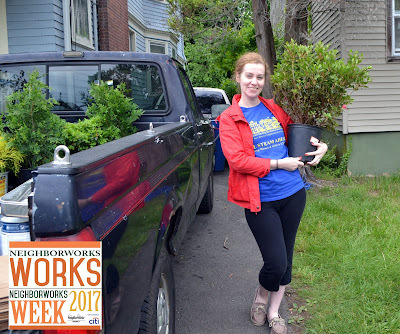 NHS Kicks Off NeighborWorks Week 2017! On Saturday, June 3rd, NeighborWorks America officially kicked off their NeighborWorks Week events around the country. 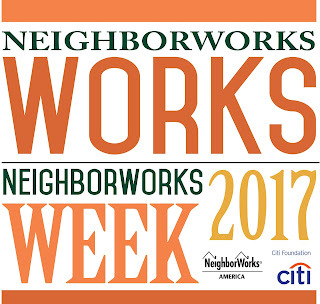 This year's theme is NeighborWorks Works! 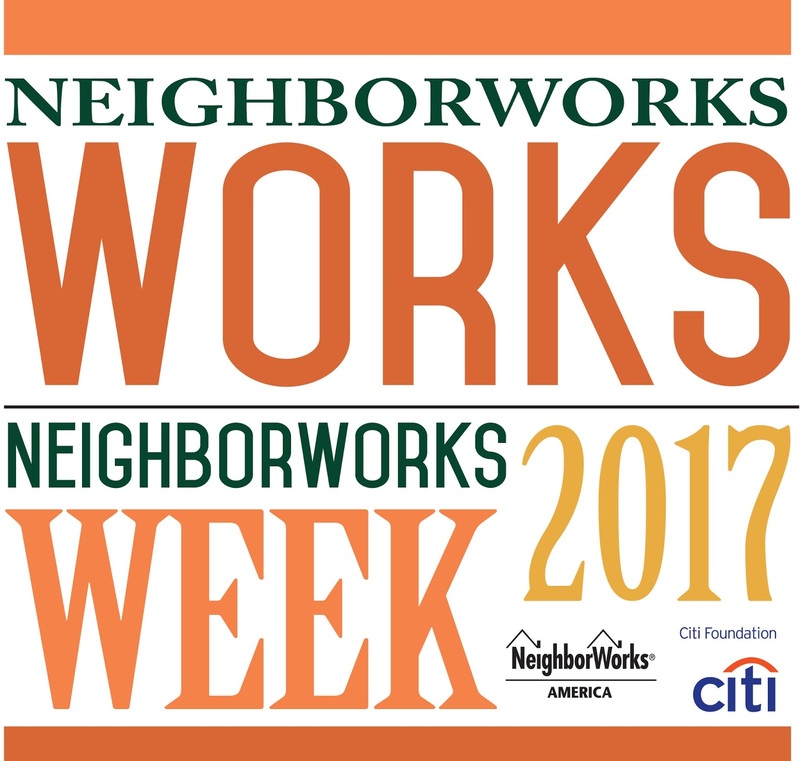 NeighborWorks Week is a nationwide celebration of the good that comes out of neighbors working and playing together. Neighborhood Housing Services of New Haven and the entire NeighborWorks network are committed to bringing about positive change by improving lives and strengthening communities. NHS is helping residents thrive in New Haven, ensuring that the core needs of individuals are met by listening to our neighbors, no matter their income or professional position, and providing or linking residents to essential services. This year, NHS of New Haven's volunteer event was themed "NeighborWorks Works for Veterans!" Staff from both NHS and Save the Sound (a local nonprofit that aims to protect and improve the land, air, and water of Connecticut and the Long Island Sound) came together at the home of veteran, Loreen Lawrence, to make minor repairs and additions which included: sanding and staining a wheelchair ramp at the back of her home, landscaping in the front and backyards, as well as installing an eco-friendly rain barrel, storm drain and rain garden. We simply cannot thank Kendal Barbery (Save the Sound) and her staff enough! Kendal worked the entire week prior to our kickoff with senior students from Hopkins School in order to prepare the rain garden installation. Kendal was also kind enough to teach the Hopkins Students (and NHS staff) the intricacies of designing and building a system that connects the gutters, rain barrel, storm drain and rain garden. The project will help diminish storm water runoff in the West River and the Long Island Sound and help prevent raw sewage from entering the water system unfiltered. At the rear of the home, NHS staff worked diligently on landscaping, as well as performing simple and small repairs to the wheelchair ramp and backyard deck. Staffers also managed to fit in time to stain the deck with a special traction paint. The work is far from done, but NHS staff members are so proud to have been able to help a Veteran homeowner enjoy her home just a little bit more, become more environmentally savvy, and have a gorgeous deck to relax on. We look forward to a few more volunteer events at Loreen's home. A few pictures of the event are below, and more can be found on our facebook page: www.facebook.com/nhsofnewhaven. Meet the Instructor: Leslie Radcliffe! Leslie Radcliffe will be facilitating our third workshop on Planning Your Project! Leslie Radcliffe is a life-long resident of New Haven. Her association with NHS began almost two decades ago when she began her journey to become a homeowner. In addition to attending financial literacy workshops, first-time homebuyer seminars, landlord classes, and resident leadership programs at NHS, Leslie has attended two Community Leadership Institute national programs, completed the New Haven Citizens Academy, graduated from the New Haven Democracy School, and is certified member of the Community Emergency Response Team. Active in service to her community, she worked with other residents, Urban Resources Initiative and New Haven Land Trust to establish the Truman Street Community Garden and Greenspace; is a Board member of the City of New Haven City Plan Commission; holds a seat on the New Haven Farms Community Advisory Board; serves as Secretary on the NHS Executive Board; reactivated the Truman Street Block Watch; participates in her District Management Team; holds office and serves faithfully in her church; and is a devoted mom and grandmother. 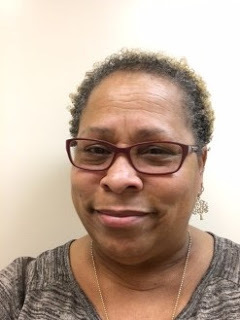 She advocates for her community by working with residents, municipal and non-profit agencies, and other stakeholders for the betterment of her neighborhood and community. Her outlook on neighborhood improvement is ‘we may not be able to change the world but we can start right where we are ... yard by yard, block by block, street by street, neighborhood by neighborhood …’.